Over the course of May + June I attended several amazing events hosted by successful, hot, young entrepreneurs all of who happen to be women. Since I am a 'newbie' to the entrepreneurial world I find it motivating and inspiring to be continually surrounded by such positive vibes and physically seeing women out there just like me that are making it on their own, doing what they love! Below I've listed the recent events I have attended and a brief overview of what each were about. Mind, Money and Miracles was hosted by these three lovely ladies; Jen Groover, Gabrielle Bernstein and Leanne Grechulk. This powerhouse team came together to share each of their expertise that have taken them to the level of success they have reached today. Jen Groover is a top media mogul and business expert. She's known for coming up with inventive idea's and following through to make them happen, for example The Butler Bag. The level of enthusiasm this women exudes during her presentations kept me laughing, entertained and totally inspired. Bottom line: if you have an idea don't tell yourself you can't do it and better yet don't let anyone else tell you that you can't do it because you CAN! Gabrielle Bernstein is a motivational speaker, life coach and bestselling author. Gabby introduced me to spiritual tools that I needed to incorporate into my daily practice to keep my chin up such as finding that time, even if it's only 5 minutes a day, for myself and to meditate. Bottom line: we do have the ability to retrain our thoughts through the process of repetition. If you are stuck thinking to yourself everyday that you are not good enough therefore you can't leave that job that you are unhappy being at then it's time to take action of those thoughts by telling yourself everyday that you are in fact GOOD ENOUGH! If you want to learn more about this process I highly recommend her book 'Add more ~ing to your life - A hip guide to happiness'. Leanne Grechulk is the founder of Healthy Girl and author of '30 days to wealth'. Leanne is a huge promoter of entrepreneurship, wellness and financial independence to women across North America. When it comes to planning your path to financial freedom, Leanne is a master. Bottom Line: understand what your net-worth is and establish specific financial goals set out in your calendar to have a visual reminder to stay on point and also to challenge yourself to make your goals. 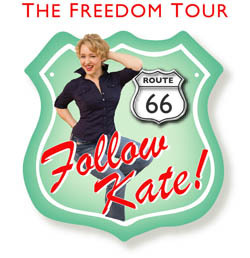 In February 2011 Kate Northrup began an indefinite road trip that she called "The Freedom Tour" where she is teaching and inspiring people to create financial, emotional and spiritual freedom. Kate sold her apartment, gave away or sold the vast majority of her belongings and is now living out of her Toyota Prius! She created financial freedom for herself by age 24 and is now on a mission to inspire as many people as possible to do the same. Bottom line: I was inspired!! Visit www.comebefree.com to download her free 8-page e-book called "The Secret Key to Making the World a Better Place". Wealthylicious is defined as a confident and radiant woman who takes control of her finances, is an excellent money manager and strives to educate herself on becoming financially independent. This event opened up my eyes on how to do just that! We were educated on things like how to increase our wealth, what today's financial realities are, how to create optimal wealth and health simultaneously and the importance of residual income and how to get it. This seminar was hosted by Leanne Grechulk who spoke about being smart about money and how to achieve our financial goals, Shelly Matsos who educated us on financial freedom through network marketing and how to choose the right one and finally Shannon Murree who explored the option of real estate investments. Bottom line: I feel good about the network marketing company I joined in order to reach both my career and financial goals. Divas in the City is a socially driven forum that featured experts in finance, nutrition, fashion, social media, fitness, relationships and beauty and how these issues relate to the independent professional women. 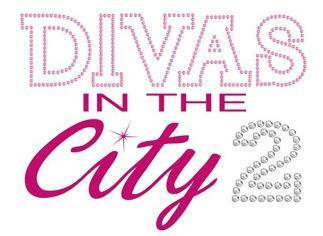 This event ended up being a great night of learning, shopping and networking with other women. WoW! What an amazing month of women empowerment!